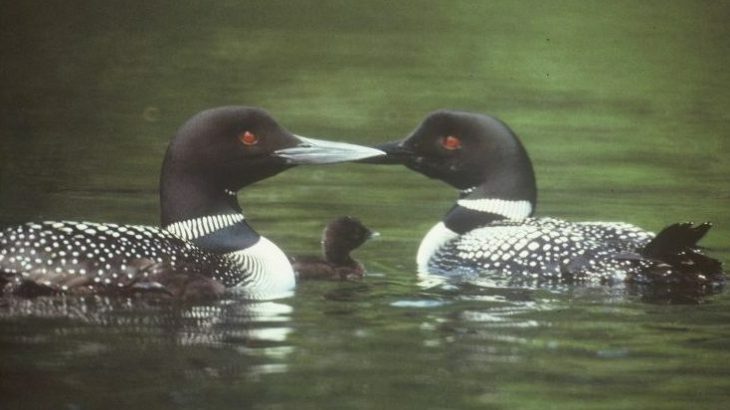 In the 1970s, North Americans were already concerned about the effects of human activity on the common loon, a large charismatic diving bird that breeds on lakes. My bachelor’s thesis at Queen’s University examined this concern on 10 lakes in Ontario in 1980. On busy lakes, boats and cottages kept loons from nesting on islets, and the birds retreated to the marshy lake portions. They also avoided dense beds of the introduced aquatic weed Eurasian watermilfoil for nesting and feeding. 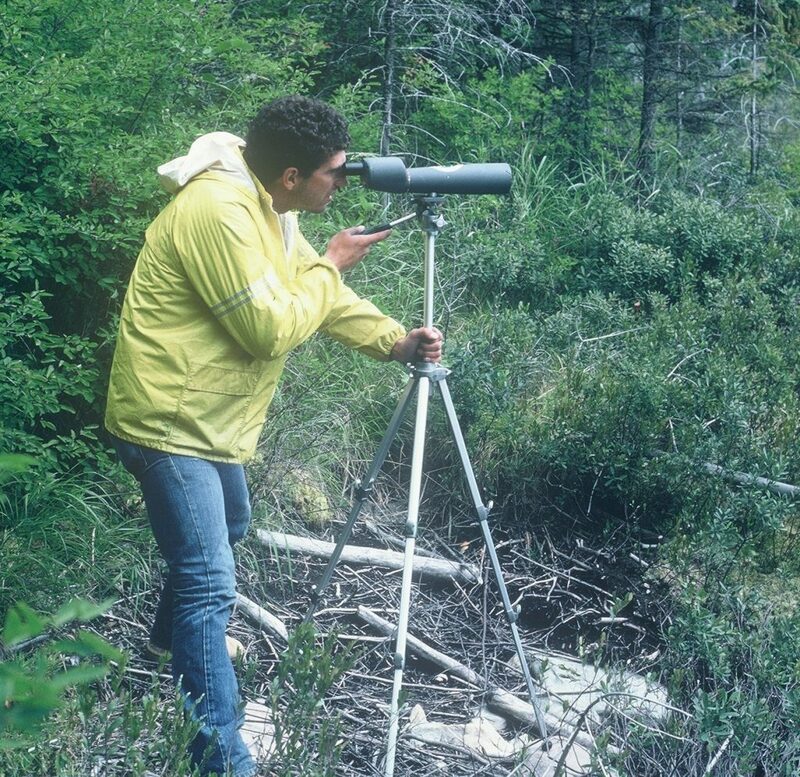 Then in 1982, Long Point Bird Observatory hired me to run the Ontario Lakes Loon Survey, which later became the Canadian Lakes Loon Survey (CLLS). Part of this project involved doing a master’s thesis at Trent University, studying the effects of lake acidification on loon breeding success on 84 lakes. Acid rain had become a major environmental issue in northeastern North America. 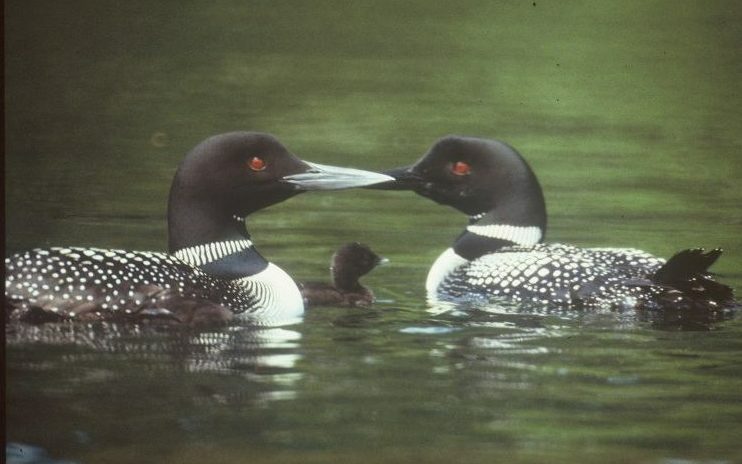 After three field seasons in the Sudbury region, I found significantly lower loon breeding success on acidic lakes than on non-acidic lakes; chicks were dying on the acidic lakes. 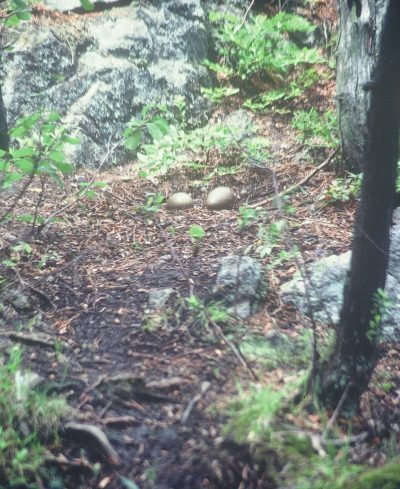 acidic to support successful loon reproduction eventually supported it. Why? 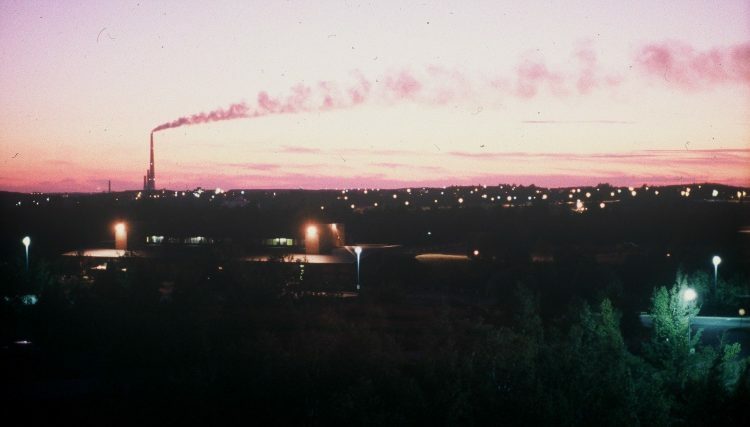 Sudbury’s 381-metre tall “superstack” had been erected in 1972 to alleviate pollution effects from the metal smelters, so the lakes gradually became less acidic. No loon chicks fledged on lakes with pH less than 4.4 (pH 7 is neutral, less than 7 is acidic). However, chicks fledged on lakes with pH slightly higher than 4.4, but only if the lakes were large. On larger lakes, the extra foraging area available to the one pair (I studied lakes with only one pair) seemingly compensated for the low food density caused by acidity. While observing loon families, I found that as the one or two chicks grew older, the size of the food items increased. There was a shift from vegetation and very small unidentifiable food items (likely dragonfly larvae, leeches, other small invertebrates and tadpoles) to fish. While the chicks were of a size that enabled the parents to feed them mostly fish, the feeding success rates were significantly lower on slightly acidic lakes than on non-acidic lakes. This was probably because of low food density caused by acidity. This suggested that the primary cause of chick death on acidic lakes was a shortage of food for the young. Recently I joined forces with Doug Tozer, Ontario Program scientist and director of the Long Point Waterfowl and Wetlands Research Program at Bird Studies Canada (BSC), and professor Mark Mallory, Canada research chair at Acadia University. We will have a master’s student in 2019 to continue and broaden this study in several ways. This will include examining CLLS data for Ontario. BSC runs the CLLS, a citizen science project for which you can volunteer. This year, we will survey my Sudbury lakes to determine the current pH trend and see how the loons respond. 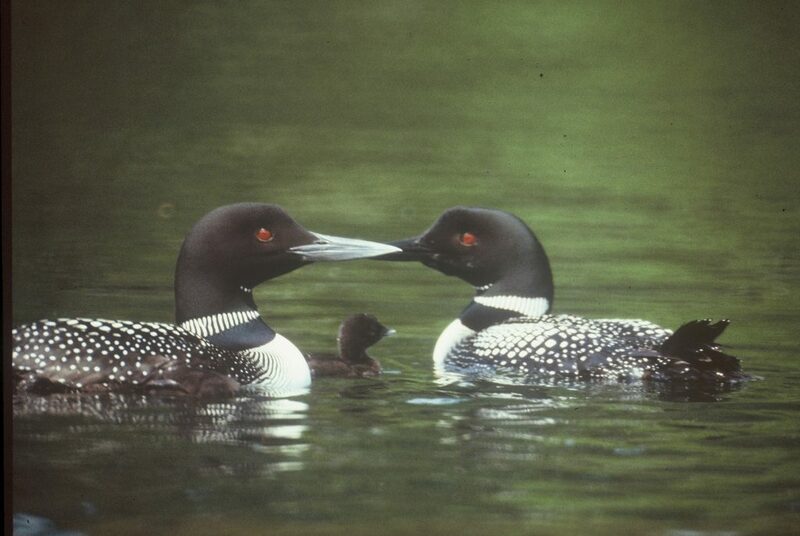 Ultimately, we want to examine current lake pH trends in northeastern North American lakes and see how loons respond. This article was first published in Land Lines, the blog of the Nature Conservancy of Canada. Robert Alvo is a private consultant with 37 years of experience as a conservation biologist. He has worked with and for Parks Canada, the Canadian Wildlife Service, NatureServe, the Nature Conservancy of Canada, and the governments of Quebec and Ontario. He has paddled hundreds of kilometres searching for loons and their nests. In his spare time he enjoys travelling, birding, hiking and listening to eletric and electronic jazz music. Robert is the author of Being a Bird in North America, www.babina.ca, available through Chapters. Biology and Life Sciences, Environmental and Earth Sciences, NCC, Science in Society birds, Careers, conservation, habitat, Nature Conservancy of Canada, NCC, research, Robert Alvo, science, species, Wildlife. permalink. Withering wildlife: Will Canada Target 1 conservation goals effectively protect our unique biodiversity?